Other than word-of-mouth marketing, press coverage is one of the best ways to help build your brand and for those of you who haven’t heard of the free service “Help a Reporter Out”, read on and watch the video above for best practices and winning tips. 1. Write a brief bio about you and how to reach you. Save it on your desktop or in Evernote. Follow me on Twitter @MarketCouncil and check out my marketing blog at www.themarketcouncil.com. I hope this response helps you with your story. If you want to connect further, the fastest way to reach me is by phone (212) 729-XXXX or send me a Tweet. 3. Sign up to receive HARO’s daily emails and read the rules! Respond within 5-10 minutes to the Query, regardless of the journalists deadline. Read the query TWICE and notice any special requirements before responding. Your subject title should include the journalists query. The email should be BRIEF and include answers to the journalist’s questions. I also like to quickly Google the writer to get a sense of their voice, energy and stories they have recently written. 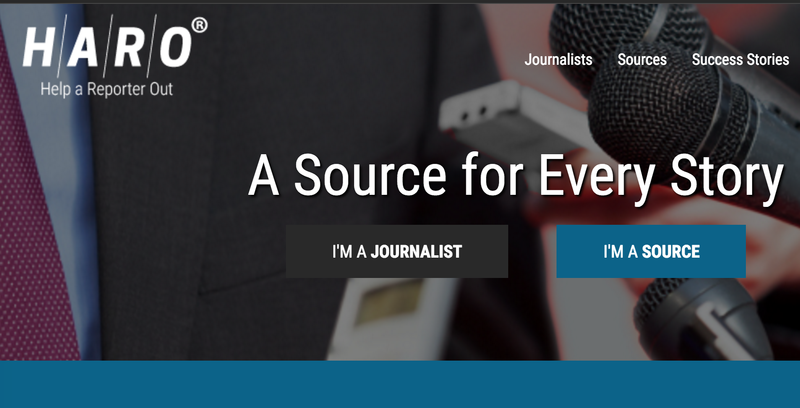 There are some pretty great contacts on HARO from the Wall Street Journal to CNN to the Huffington Post although I do see many of the same writers using the service daily. Violating any of the below rules will result in a first time warning, and upon a second violation, being permanently banned from the service. HARO works on mutual trust and support. Do not spam reporters with off-topic pitches in response to their queries. Do not pitch products in your source request reply unless the source request specifically asks for a product. You may forward queries to others via email or social media. As a matter of fact, the HARO team encourages it! You’re not allowed to harvest any reporter information provided in the HARO emails for any reason. Do not include attachments in your reply to a reporter source request. Attachments are automatically stripped from the email in order to protect reporters from viruses. If you have relevant supplemental information or collateral that is helpful to the story, use a service like Dropbox to send links to the reporter in your pitch. “Anonymous” queries are often larger outlets that choose to anonymize their listing to alleviate spam or deter story poaching. Reply to these queries as detailed above. Media professionals are encouraged to perform additional due diligence prior to pitching. There are more than a half million people using HARO right now. I get a placement about every month. If you get more than that, share your tips.